Ms. James sharpened her communication skills by attaining her bachelor's degree in English from the University of San Diego in 1976. Thereafter, she attended law school, earning her Juris Doctor from the California Western School of Law in San Diego in 1979. After graduation, she began her legal career practicing in corporate and securities law. 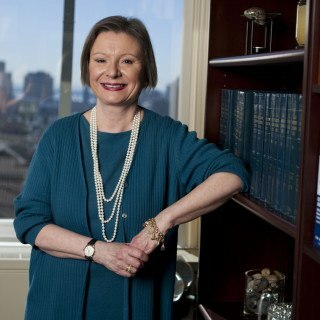 She joined her current firm in 1989 and became managing partner in 1998.